Made in Canada using only domestic larch wood, this medium carver’s boards is ready to assist with every day kitchen use. 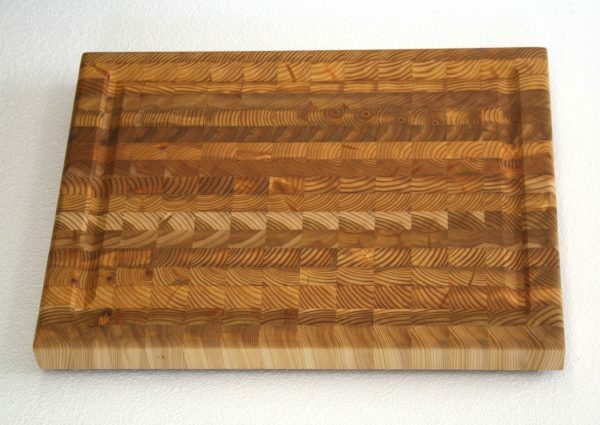 With a large groove to catch juice and large 13″ x 18″ surface area, this board is sure to be used every day in your kitchen, they won’t show knife marks. All boards are finished in a natural bee wax and oil.